Sharing the joy of horses with the DC community! 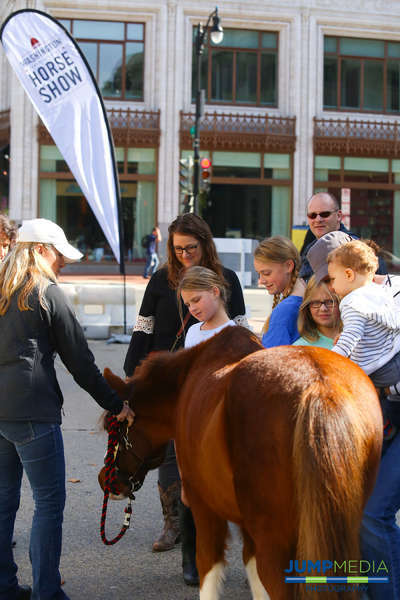 Hundreds of children and their families attend WIHS Kids' Day — a free, fun, family-friendly event created to share the joy of horses with the local DC community and teach kids and their families about horses and equestrian sport. Children participate in more than a dozen hands-on educational and fun activities, including pony rides, the Discovery Communications Horseless Horse Show, the Horse Stars Hall of Fame interactive exhibit, coloring station, face painting, pony brushing lessons from Rokeby Farm Stables, plus giveaways from Georgetown Cupcake. 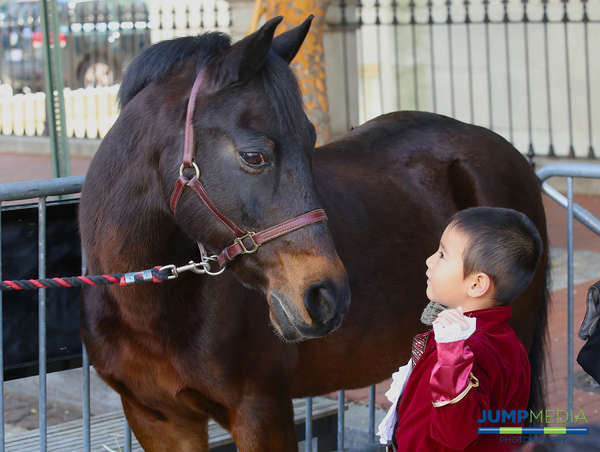 Klinger, the famous horse from the U.S. Army Caisson Platoon, often attends as a special guest to greet the children. 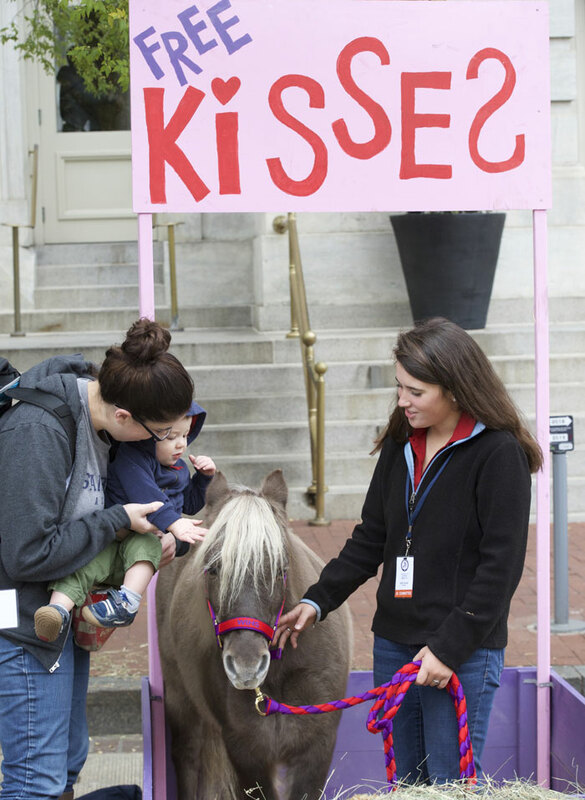 There's even a pony kissing booth with Mini Cooper, the mini pony! WIHS Kids' Day 2019 will take place Saturday, Oct. 26, from 10 am - 2 pm, rain or shine. Outdoor activities will be held in front of the Hotel Monaco at 700 F Street NW (the street will be closed for the event) and face painting and other events will be held on the Capital One Arena concourse. One adult per child is permitted entry into the arena, free of charge. General admission tickets for adults will be required for entry into Capital One Arena. Tickets will be available for purchase day of at the arena box office. WIHS Kids' Day is presented and supported by the WIHS Junior Committee. Leo the Magnificent at the pony kissing booth! Enjoying the pony grooming station! Ponies everywhere! Kids have a chance to groom and ride around on ponies. 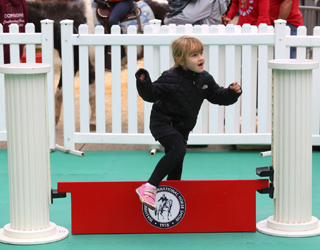 Kids can take part in the horseless horse show.